Industry-leading staffing company Hire Dynamics completes recapitalization by MSouth Equity Partners to accelerate market growth and strengthen industry leadership. “This next phase of growth for Hire Dynamics is an exciting time for our company and our people. MSouth’s industry expertise and quality reputation for working with management teams was a natural fit for us." Hire Dynamics, an industry leading staffing provider with 12 branch offices and 22 on-site locations throughout the Southeast, today announced it has completed a recapitalization by MSouth Equity Partners. 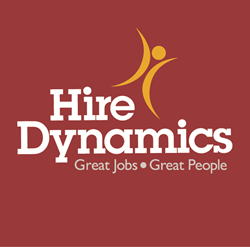 Hire Dynamics, headquartered in Atlanta with operations in Georgia, North Carolina, South Carolina, Tennessee, Alabama and Texas, was founded in 2001 by Dan Campbell and Jon Neff with the mission to be the #1 staffing company you refer to a friend. With that as their vision, Hire Dynamics now serves more than 550 clients and offers work to more than 22,000 individuals, including 300 veterans, earning satisfaction ratings that merit Inavero’s “Best in Staffing” award recognizing the top 1% of the 10,000+ staffing companies in the U.S. The transaction closed April 25, 2016. While specific terms have not been disclosed, the deal was structured as an owner-operator recapitalization, allowing the company’s management to retain ownership in the business. Hire Dynamics Chief Financial Officer, Jon Neff, will continue in that role, as will Kim Wallace, Executive Vice President and Sonya Buckley, Chief People Officer. CHILDS Advisory Partners acted as exclusive financial advisor to Hire Dynamics. MSouth Equity Partners is a private equity investment firm that provides equity capital and expertise to support management teams in acquisitions and recapitalizations of lower middle market companies typically valued between $25 and $125 million. Based in Atlanta, Georgia, MSouth invests primarily in the South with a consistent focus on management buyouts of companies in sectors where the firm has significant investment, management and transactional experience. MSouth invests with the objective of increasing operating cash flow through growth initiatives and active ownership. A key element of MSouth’s investment strategy is partnering with proven management teams to create value. With $1.3 billion under management across three funds, MSouth is a successor to Cravey, Green & Wahlen, Inc., which was founded in 1984. Putting an average of 4,500 people to work every week, Hire Dynamics is an industry leading staffing provider specializing in contact (call) centers, manufacturing facilities, logistics/e-commerce operations and office support. Founded in 2001, the company now operates 12 branch offices and 22 on-sites across Georgia, North Carolina, South Carolina, Tennessee, Alabama and Texas. Hire Dynamics has been recognized by Inavero as a “Best in Staffing”, recognizing the top 1% of the 10,000 staffing companies in the United States on client and talent satisfaction. It has also been awarded in multiple years by Staffing Industry Analyst’s list of “Best Staffing Firms to Work For” and Inc. Magazine’s 500/5000 List of the Fastest Growing Private Companies in the U.S., among others. We can be found at hiredynamics.com, on LinkedIn here and on Twitter @HireDynamics.